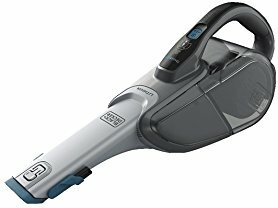 Today, March 20th only, Woot!.com is offering this Black + Decker SMARTECH Cordless Lithium-Ion Hand Vacuum for just $34.99 (Retail $79.99)! Even better, Amazon Prime members score free shipping. This handheld vacuum is lightweight so it's easy to use everywhere. It has different speeds and settings so as not to ruin delicate materials like curtains. The pull out crevice tool helps you get to those hard to reach areas too! Score free shipping when you sign in to your Amazon Prime account at checkout; otherwise, shipping is $5.